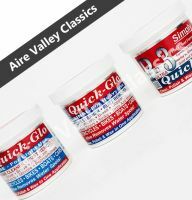 The Original formula is the most aggressive in the range. 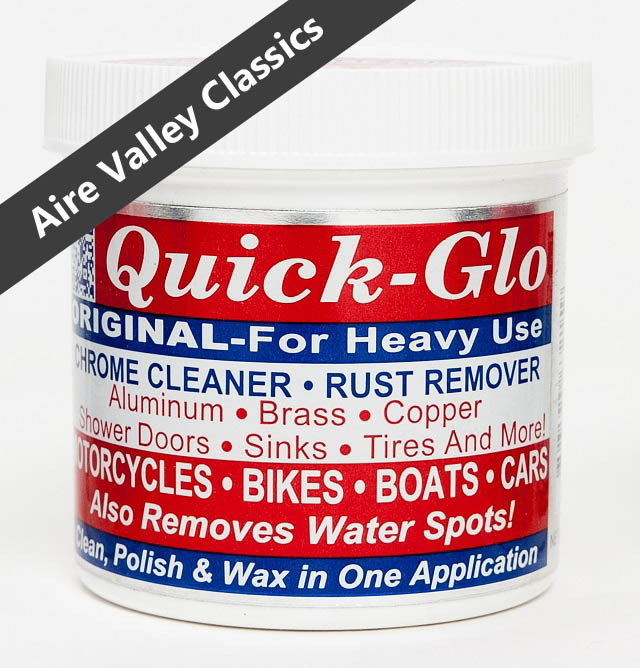 With its unique combination of Pumice (Volcanic Ash), Silica and waxes, it removes heavy rust from metals, leaving a great shine and a protective layer which helps to prevent rust from re-appearing. 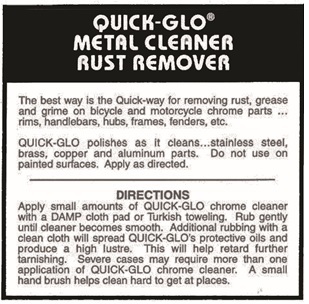 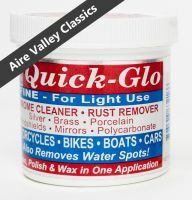 Ideal for restoring heavily pitted chrome, or where the rust is bubbling. 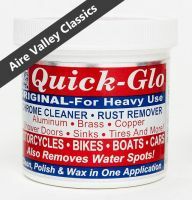 Also gives great results on shower doors, faded patio furniture and much more. The Fine formula contains a milder combination of Pumice (Volcanic Ash) and waxes to give a less aggressive formula. However, it still removes light oxidation (rust) from metals, leaving an even greater shine than the Original formula while still leaving a protective layer which helps to prevent rust from re-appearing. 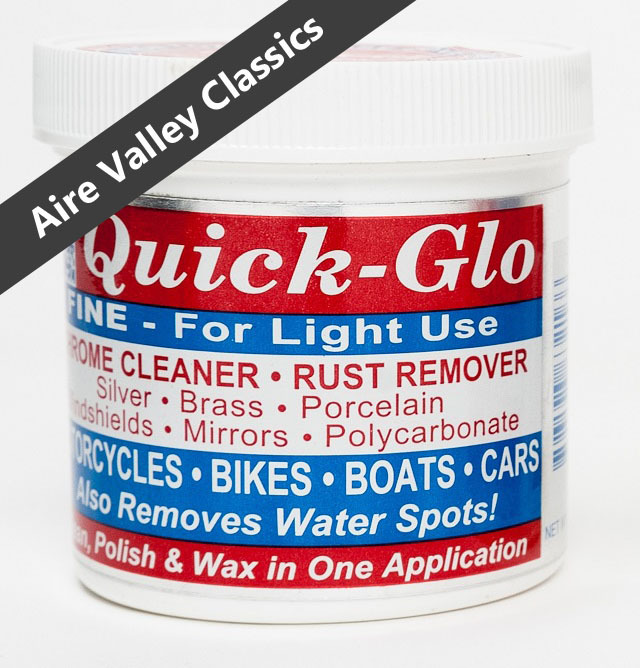 Gives brilliant results on lightly rusted or lightly pitted chrome, but also gives great results on glass, mirrors and polycarbonate and is ideal for maintaining your finish after using the Original formula to restore. 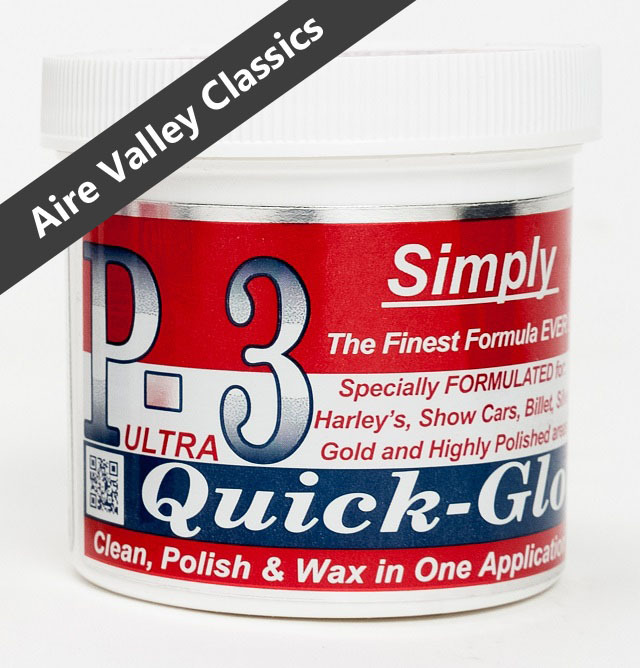 Contains 3 micron pumice (at least five times finer than the thickness of human hair) and waxes for a super fine finish on highly polished surfaces such as rust free chrome, milled aluminium, polycarbonate and works well to bring back the shine to moulded ABS plastics, such as used extensively on motorcycles. 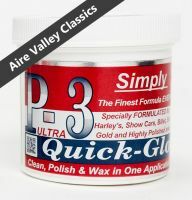 It is also ideal for maintaining your finish or after using the Fine formula. 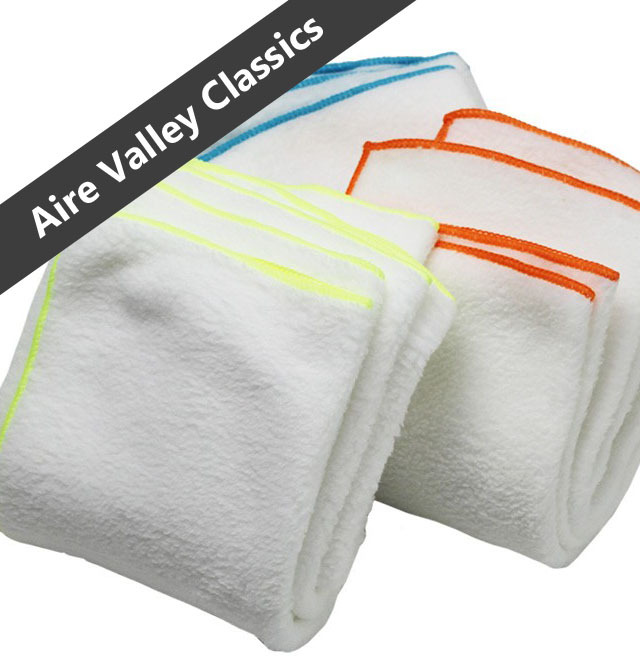 Should ideally be applied and buffed with the Ultrasoft microfibre cloth for which we are UK's only supplier currently.